His 6th album MISFIT was inspired by Dave Richmond’s book How To Disappear Completely and Never Be Found. He imagined the journey of a man called Misfit who wanted to lose himself in the desert and actually become nothing. 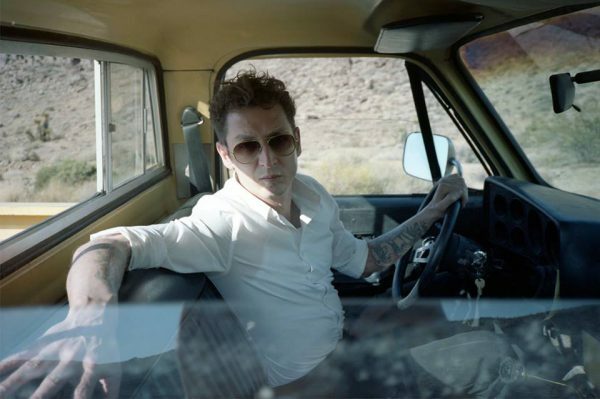 Therefore, in May 2016, The Legendary Tigerman i.e. PaoloFurtado and his image crew headed to Los Angeles and film a psychedelic adventure in the form of a road movie between Los Angeles and Death Valley, about the philosophically disturbed journey of a man searching to become nothing. There Furtado spent his days writing the diaries of this imaginary man, acting, while at night, in motel rooms across the California deserts, armed with a Gibson SG. The album was recorded in Joshua Tree, in the heart of the Mojave Desert.